Through the stages of the Trivium, students build foundational knowledge that they then can use in creative ways. During the Grammar years, students learn the fundamental structures that make up these disciplines, which we know is essential as a basis for creative thought. In the Logic years, they explore how to stretch those fundamentals and explore their breadth and depth. In the Rhetoric years, students become empowered to use the fine arts as another means by which they may communicate their ideas and make their own unique contributions. At the Grammar stage, in addition to dedicated Art and Music classes, teachers incorporate both musical and visual arts into daily lessons. Students use songs and chants to learn content, and they often create visual representations of the art of the historical time period they study. Role-playing, reader’s theater and public speaking are integrated into the curriculum from the earliest ages and help students to build confidence for the rhetoric stage. Yearly events related to the fine arts include the Speech Festival, Fine Arts night, weekly Exordium, and challenging monthly hymns sung in class and as a school at all assemblies. At the Logic and Rhetoric stages, students may take electives such as Chorus, Art, Speech & Debate, and Drama. 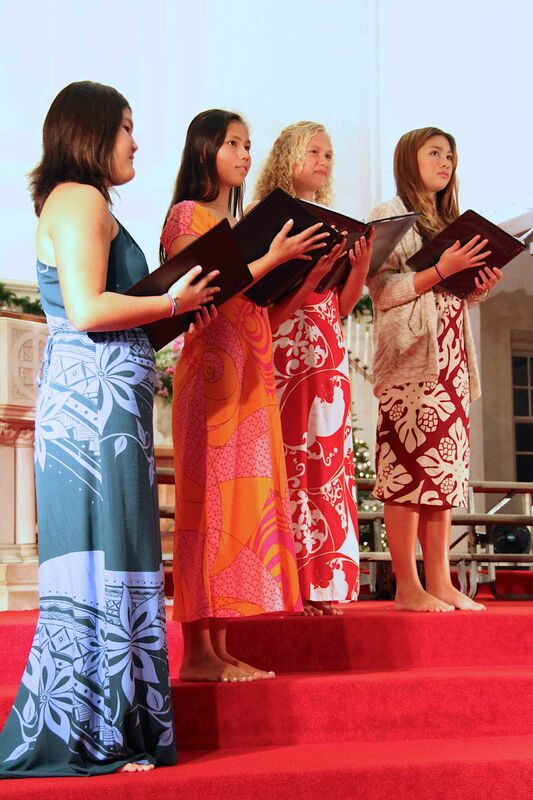 Opportunities come in the annual plays performed by the Secondary School Drama class, the All School Christmas concert, year-round Hawai‘i Speech League Tournaments, and the spring Fine Arts night.